Please tell us a about yourself (can be brief) and where you are today. I grew up in NH, and I graduated from UNH in 2016. 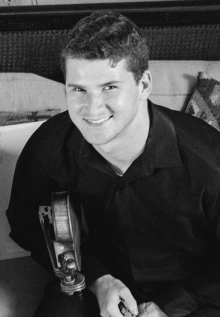 I am a classical violinist, and I have played in music festivals in the U.S., the Middle East, and Europe. After graduating, I spent one year in Berlin, Germany, where I worked as a Fulbright English Teaching Assistant as part of the Fulbright Commission’s Diversity Program. I studied German and International Affairs. I also have a minor in Asian Studies. My interest in German and Asian (specifically Chinese) culture really focused the scope of my IA studies on those particular cultural groups. My time abroad really informed my IA discussions in Durham, giving me countless experiences to draw upon when examining or writing about different topics. Professor Vannette introduced me to the Fleneur texts of the early twentieth century. Since his class on Modern German Literature, I have been fascinated by the idea that wandering through a city is, in and of itself, an art form. Intense imagery, exhaustive detail, and a refreshing sense of realism were ways in which Flaneur authors described their surroundings. Whenever I visit a new city, I imagine myself writing in such a genre. It is fascinating to observe the differences in what I notice. It is a much more conscious and active way to explore a new place. My favorite memory from abroad was getting hopelessly lost on a bicycle trip from Freiburg, Germany to Colmar, France. Within the first five minutes, I discovered that the map of bike paths had dislodged itself from its designated place. It was supposed to take only a few hours, but after five hours of pedaling about the vineyards of Baden-Würtemburg, my friends and I made it to the border town of Breisach, where we boarded a train back to Freiburg. Although we were sore for the next few days, I highly recommend getting lost in the countryside. Someone once told me that your world is only as big as the languages you speak. Studying German and Chinese at UNH opened up my world to accommodate a love of Chinese and German culture. By learning those languages, I feel at home in those cultures, in addition to introducing a cultural flexibility to my life, which allows me to comfortably explore other parts of the world as well. High-impact learning experiences while at UNH (e.g. study abroad, URC or other undergrad independent research--SURF, UROP, IROP, experiential learning, internship, etc.)? Study abroad was one of the most amazing experiences during my time at UNH. I spent one semester in Freiburg, Germany and another in Chengdu, China. Both semesters challenged me in many different ways; for example, one semester offered me a cheese shop on every street, while the other forced me into cheese withdrawal. My language skills improved immensely, and I developed an affinity for living, rather than traveling, abroad. Learning a language will expand your worldview, challenge your brain, and inspire your sense of adventure. I cannot imagine my life without foreign languages. Majoring in a language at UNH will give you the means to live a life with more options and more excitement. I am working on my NH teacher certification, and I am thinking about graduate school as well.